For the better part of the Faint's 20-plus-year career — from dance-punk pioneers to enduring electro-pop stalwarts — their true calling has always been the dance floor. The Omaha band's songs cry out for a warm, sweaty darkness illuminated only by flashes of neon and lasers. And arriving after the more abrasive punk of 2014's Doom Abuse, the Faint's seventh album, Egowerk, circles back to their slicker programming. Its 11 songs draw key elements from the band's Dance Macabre palette — darkly pulsing synths, vibrant electronic percussion, and Todd Fink's augmented-reality vocals — to explore our socially digitized selves. 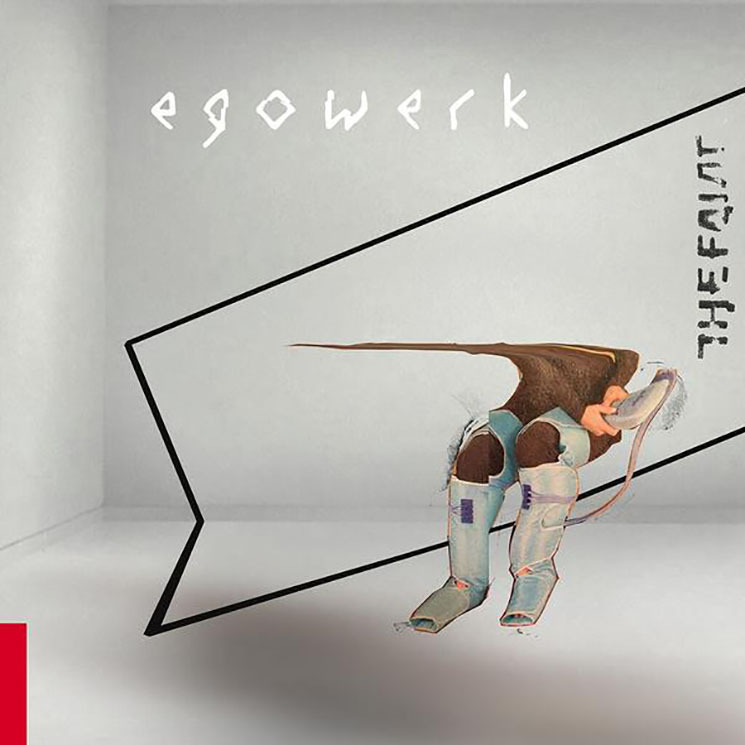 That proves a sweet spot for the band, in both content and form: Egowerk unveils itself as a unified techno-pop odyssey, one that bumps and grinds and bemoans the (online) world at large without ever letting its BPM drop too low. "Child Asleep" opens the album in a cyberpunk future, a colossal run of programming blips and warping synth bends. From there, Egowerk segues through songs like a cyborg DJ set: the similar tones of "Chameleon Nights" rally about our online selves ("It's a video game and you're an avatar / What you fake becomes what you are"). The title track shimmers and struts as Fink casts a bleak gaze over a spacious techno-groove: "Darkness is a perspective / And we've got our heads in dirt." Here and elsewhere, the sentiments aren't exactly chipper assessments — "Life's a Joke" jeers with almost gleeful nihilism — but Fink and the band seem energized.